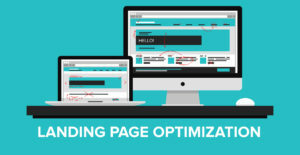 Little do people realize that there are a few more things to focus on when it comes to conversion rate optimization than the copy of your landing page. Do you think your landing pages are having a tough time in converting your visitors into leads? If answered yes, then there is a fair good chance of the reason being your landing page copy. Most often it has been seen that internet marketers are guilty of making too many mistakes while copywriting of which they’re totally ignorant. Here are few copywriting mistakes and how you can rectify them. Features usually inform your readers what your product or service is about and benefits inform them what your product would be able to do for them. Features are important as they enlighten the customers about the specifications of the products and hence they’re totally informational. But they don’t persuade the users. Humans usually make emotional decisions and then find out logical reasons to back their decision. Therefore apart from telling the customer what he might have, they also need to tell them how it will make their world a lot better. One of the biggest blunders made by novice copywriters is making a copy superfluous. They make it either too dependent on filler words which make the copy sound too impressive or they make it too long which ultimately fails to persuade the target audience. Don’t forget that a good copy is always about sending the right message and then it doesn’t matter whether your write 100 words or 10 words. Until your message is clear, you will always find the struggle of converting visitors. For instance you enter a coffee shop and find out 2 different offers where one offers you 33% extra coffee and one offers you a 33% discount on the price. Before the offer is given to you, each cup costs you $3 and has 300 ml of coffee. Which do you think is better? Definitely the latter option! Since most people are bad at calculations, they will make the first choice. So, whenever you’re talking about discounts, make sure you explain what it signifies. So, if you want to increase the conversion of leads, make sure you rectify the above mentioned blunders and copywriting mistakes.